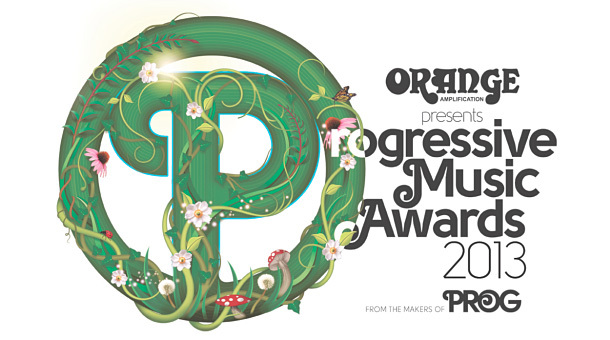 The evening brought together, and celebrated, the pioneers, innovators and present-day torchbearers of the prog scene. With 12 awards given out on the night, the Progressive Music Awards is a gathering of some of the most successful rock musicians of all time. Now in its second year, the night featured a live musical performance by Steve Hackett, winner of the Live Event category. Teaming up with stage partner Amanda Lehmann, the duo performed a stunning set of stripped back Genesis and solo tracks, such as the 1976 classic Ripples. Jerry Ewing, editor of Prog Magazine, says, "What a fantastic celebration of some quite unique talent we've seen tonight. From household names who've sold millions of albums to newer talent who we hope to see emulate their heroes with whom they've been sharing the room this evening. It all goes to show that in it's many varied guises, progressive music remains the most compelling of rock genres." The Prog God Award celebrates the innovators of rock. The people who have inspired generations and have carved a way for others to be at their creative best. There is no one who has pushed the boundaries more than Ian Anderson, who to this day remains immersed in his love for the music. Ian Anderson says, "The innocent voyage of restless souls: that's prog rock. Sometimes bombastic, self-indulgent and worse, it is also an honest, gut-felt reaction to the often simplistic and repetitive nature of much of pop and rock. It is, indeed, an honour to receive this illustrious Prog award and dwell in such lofty heights amongst the good and the great of the last forty-plus years. I remain very happy to inhabit the progressive rock world, as both performer and listener. And where else could a self-taught, mediocre but extremely loud flute player make a decent living? Not in country and western, I would suppose. But, hey: if the boots fit and the buckskin-fringed coyote crooner calls, then count me in cowboy! Brokeback Mountain could never sound sweeter." Every month Prog Magazine doffs its cap to the new wave of bands winning plaudits through the prog fraternity in their Limelight feature. The Limelight Award [sponsored by K Scope] does that very same thing. This year's winners are Sound Of Contact, brainchild of Simon Collins, son of Phil, and Dave Kerzner. Three years in the making, their debut release, concept album Dimensionaut, received a rave reception. In their 23-year career, Winchester-based sextet Big Big Train have found great acclaim amongst their prog peers. The releases of English Electric (Part One) in 2012 and English Electric (Part Two) in 2013, have seen them receive praise beyond the perceived boundaries of prog and opened them up to a new legion of fans. These fans voted in droves, making them the Breakthrough Act of 2013. Steve Hackett: Genesis Revisited at Hammersmith Apollo was the winner of the Live Event Award. Currently being toured worldwide, Hackett's re-working of classic Genesis tracks has been met with enormous appreciation by Genesis fans both new and old. The Anthem Award celebrates the stand-out songs of the past 12 months. Voted for by the readers of Prog Magazine, Finnish siblings Von Hertzen Brothers triumphed with Flowers & Rust, taken from their fifth studio album release, Nine Lives. Stephen Wilson's third solo album The Raven That Refused To Sing (And Other Stories) was winner of the Album Of The Year. Engineered by Alan Parsons, each track on the album is based on a story of the supernatural. Band Of The Year was Marillion. The Brit quintet have released 17 albums selling over 15 million copies in a career spanning more than 33 years. Their most recent album Sounds That Can't Be Made was released in September 2012 and when they're not being name-dropped by Steve Coogan/Alan Partridge (see 'Alpha Papa'), they're on the road with a sell-out tour or convention to play. The Storm Thorgerson Grand Design Award, formerly Grand Design, has been renamed in honor of the man behind some of the most famous album cover designs in rock music, and winner of the award in 2012. This year's winner was the Family Once Upon A Time 14 disc boxset. The limited edition set included their back catalog, as well as previously unreleased material and a 72-page hardback book. The Visionary Award is about the spirit of independence and for those who make their own niche in a progressive direction. From groovy jazz jammers Gong to futuristic ravers System 7 Steve Hillage is one of the most unique guitarists the world has ever seen. Experimental and groundbreaking throughout his career, the 62-year-old Canterbury-affiliated icon is still much sampled and admired today. The Virtuoso Award is about celebrating the best players around, and this year there is none more deserving than Mike Portnoy, one of the most notorious drummers in the rock and prog world. The powerhouse behind US tech-proggers Dream Theater for 25 years, he has sold over 10 million albums and continues to evolve, collaborate and conspire with bands like Flying Colors, Transatlantic and more. The Guiding Light Award is for people who keep flying the prog flag, inspiring others and keep prog in the public eye. This year's recipient is InsideOut Music founder Thomas Waber. Having started the label in 1993 as 'a hobby', InsideOut has since become a force behind some of the great prog albums of the past 20 years. The Lifetime Achievement winner is Dave Brock, the founder and only constant member of Hawkwind since its inception in 1969. Hawkwind released their 27th album, Onward, in 2012 and continue to relentlessly create, tour and inspire around the globe.